Become a Trainer - Finesse Worldwide, Inc. 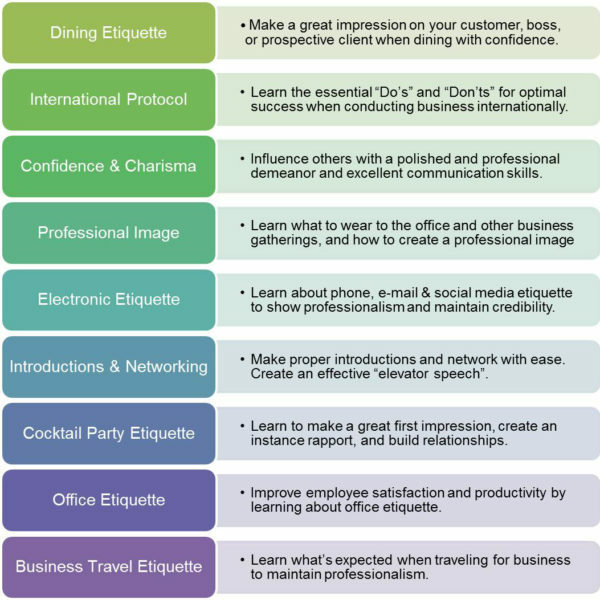 Learn to become a business etiquette trainer. Contact Aimee Symington for information on how to create your own business and become an etiquette instructor. Do something you’re passionate about, make money, and help others gain professional growth and success. Aimee@finesseworldwide.com or 704-564-6502. Q – Do you strongly believe in the importance of social civility and business etiquette? Q – Do you love working with people and helping them achieve their personal and professional best? Q – Do you want a flexible, profitable career or side business? 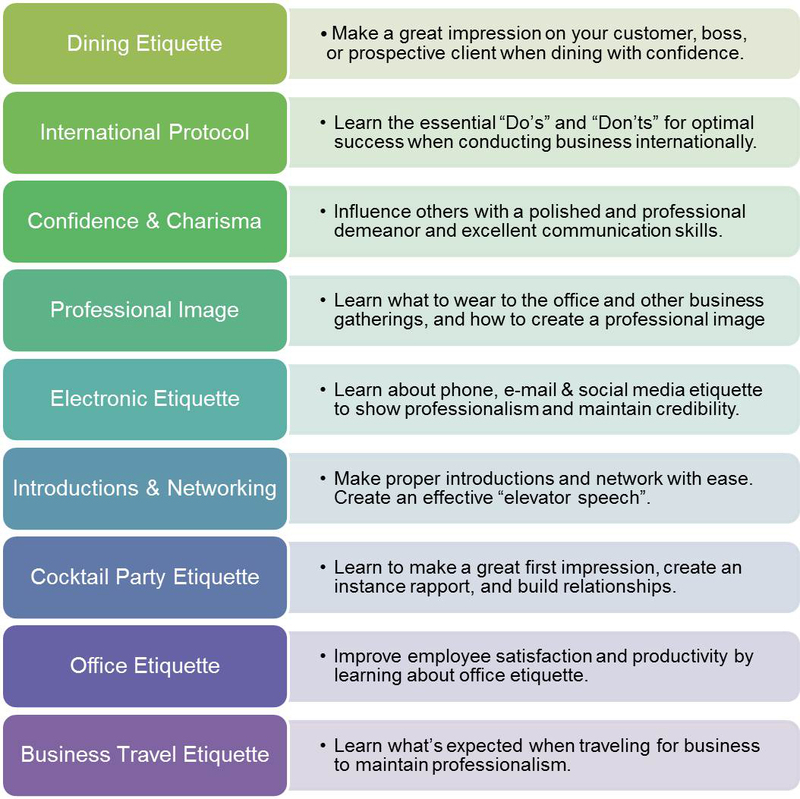 If you’ve answered “yes” to these questions, then you may be interested in becoming a business etiquette trainer. Below are two options to explore. Attend a personalized two-day in-person training program in Charlotte, NC on the dates that fit your schedule. Comprehensive instructor training manual for all business etiquette programs. Complete participant materials including exercise. Dining etiquette instruction over a three-course meal. Marketing and public relations ideas. This two-day program with instruction, materials, and two meals is $4,400. Personal travel expenses are not included. Work with Aimee Symington via Skype to learn how to become a dining etiquette instructor to work with children, university students or business professionals. Comprehensive instructor training manual for a dining etiquette program. PowerPoint slides to accompany a dining etiquette training program. Hour of consultation after the training session with Aimee Symington. This four-hour program with instruction, materials, and an hour of consultation is $1,600.